Your Passport – Must be valid for at least six months and bear your original signature. You will need to have at least one or two blank pages marked “Visas” for your visa stamp or sticker. Visa Application – This will require your original signature in ink. What Do Visa Expediting Services Do? If you need to get a consular visa, the services of a visa expediting company are invaluable. They will help you from the very beginning, making sure that you know whether or not a visa is required for your trip and providing all the most up-to-date visa instructions and applications. They will check your application packet carefully before hand-carrying it to the Embassy or Consulate for processing. While it is in process, they will remain in contact with the Embassy/Consulate to make sure processing proceeds smoothly and quickly, and they will pick up your completed visa as soon as it is ready. They will check your visa thoroughly for errors before sending it back to you using a secure, trackable delivery service. RushMyTravelVisa.com is one of the nation’s leading visa services, offering an easy to use online portal to help you get started on your visa service fast and track your visa every step of the way. Their nationwide team of visa experts provide a full range of visa services for all destinations for US citizens and residents. They have earned praise from clients and the media for their speed, accuracy, and customer service. 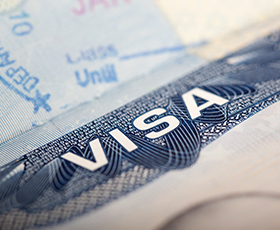 With over 20 years of experience in the industry and a nationwide network of offices, G3 works with individuals, tour groups, corporations, and the aviation industry to provide expedited visa services with white-glove customer service.